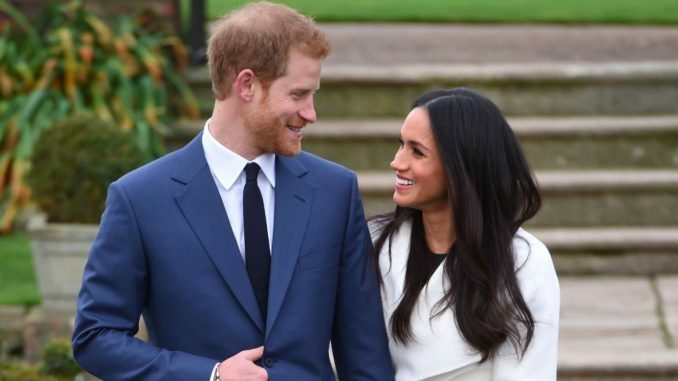 Earlier this week, the world kinda sorta went a little crazy as it was announced that Britain’s Prince Harry and America’s Meghan Markle were engaged. And while news coverage of this incredibly happy occasion covered all sorts of angles and story lines, here’s what I think is most important. They are a perfect match and will be a powerful couple in the realm of charitable impact. It’s smashing to see HRH Prince Harry so happy. This is the first American to join the top levels of the Royal Family and it bodes well for the special relationship between the UK and the US. This was a great announcement and I am quite excited for HRH Prince Harry and Ms. Meghan Markle. I even had the chance to chat about this happy occasion on local St. Louis media on KMOX with Mark Reardon and on ABC 30 with Jamie Allman. So, here’s what we know so far. HRH Prince Harry and Meghan Markle will marry in May in St. George’s Chapel at Windsor Castle. We expect the wedding to be broadcast. The couple met in 2016, through a mutual friend and a blind date. HRH Prince Harry proposed in London earlier this month, while roasting a chicken. Her Majesty gave her permission for the marriage, which, due to Prince Harry being 5th in line for the throne, is required under the Succession Act of 2013. HRH Prince Harry also asked Ms. Markle’s parents for their permission, which every real man should do. The couple will live in Nottingham Cottage on the grounds of Kensington Palace. The couple will continue to focus on charitable work, which both do independently already, and will be full-time working Royals. Their first official engagements are this Friday. Bottom line, a perfect match, and I wish them an incredible marriage. To stay up to date on their charitable work, I recommend visiting the Royal Foundation of The Duke and Duchess of Cambridge and Prince Harry.